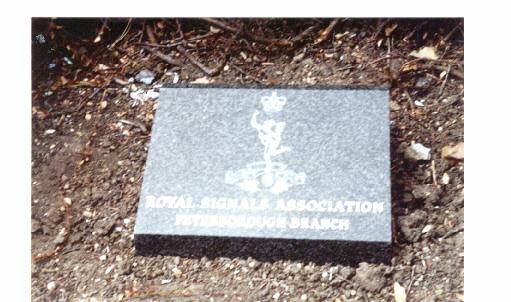 The Branch has a Memorial Stone engraved with the Corps inscription "ROYAL SIGNALS ASSOCIATION PETERBOROUGH BRANCH" erected in the Garden of Peace in Peterborough Park alongside a number of other Regiments and Corps stones. Peterborough Branch RSA Enjoyed a great evening at their Branch 25th. Anniversary Dinner.It was 5th. 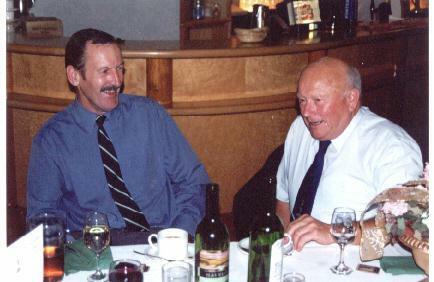 August 1976 when members met in the Wirrina Sports & Recreation Centre in Peterborough to see if there was enough support for the formation of a local branch of the Royal Signals Association.This resulted in approval from Association HQ to form what was originally called Peterborough & District Branch.Publicity and informal gatherings led to the first AGM at which sixteen members were present. 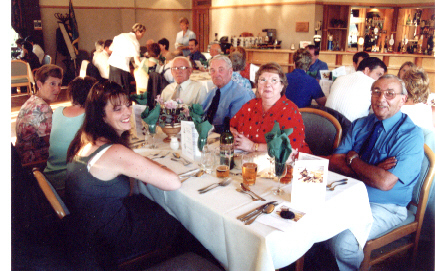 25 years later, on the evening of the 27 July 2001, eighty people sat down to a four-course dinner at Woodlands Sports & Social Club in Caster. Peter Cuckow the Association's Administrative Officer with his wife Sheila, was the branch's principal guest for this special occasion.